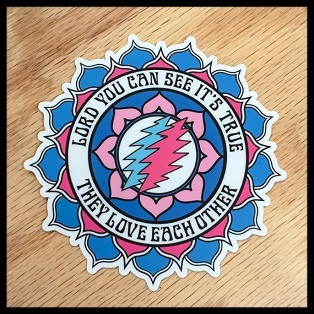 They Love Each Other” Grateful Dead mandala vinyl stickers. Approximate size is 4" x 4". Amazingly high quality matted vinyl die cut stickers. Designed by Mongo Arts.